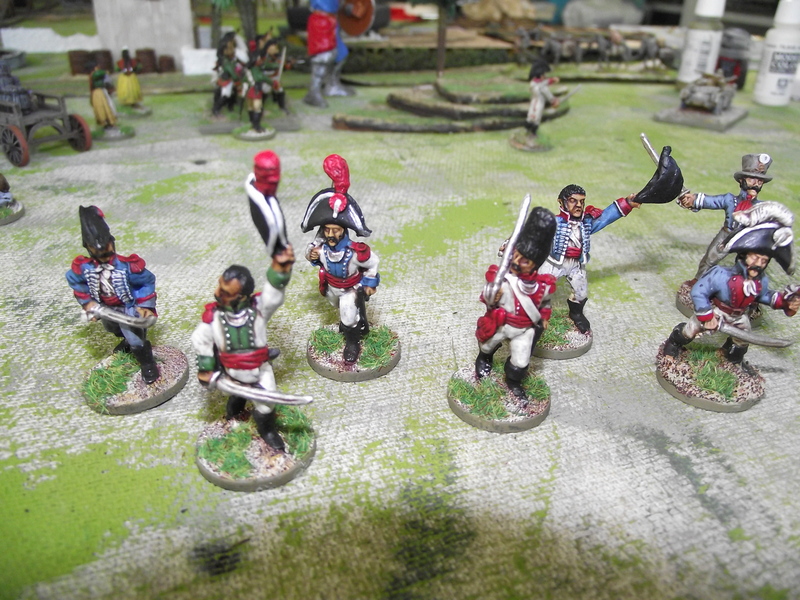 Smallholding and Wargaming…….not always at the same time! Spanish Sharp Practice nearing completion!! 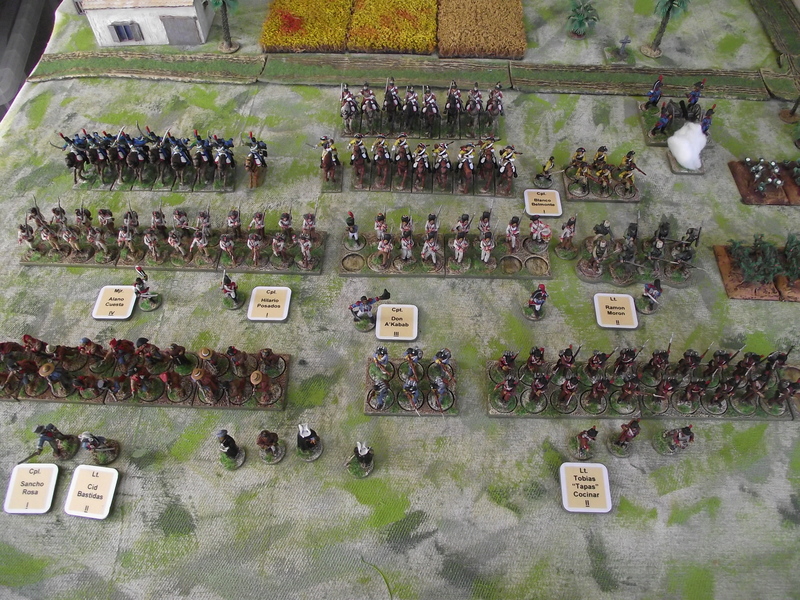 This is the line up of the whole force from the back – 1 unit of Curassiers, 1 of Hussars and 1 of Dragoons (with foot unit). 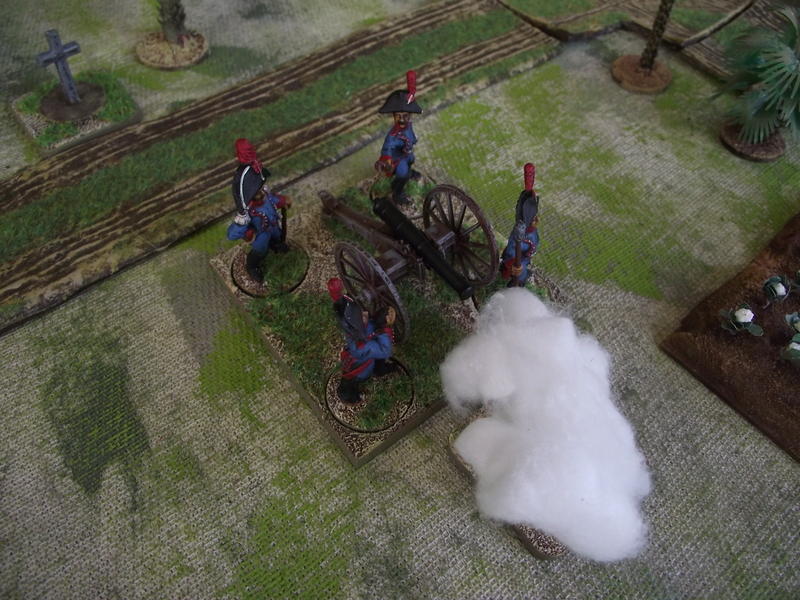 Then the 9lb Cannon and crew. Then next line 3 groups of regular line, 2 groups of Grenadiers (4 figures still to finish and base) and then 1 group of regulars (Rgt Muerte). Next line 4 groups of Guerillas, 1 group of regular light, and 3 groups of Militia. Around and about are Officers, Musicians and religious types. You can see name plates I have made for the officers – I have made 2 of each – the second becomes the token for the cup to be drawn for the activation order. I wanted the names of the officers to be drawn out as this makes a better link to the personalities – and helps lead the narrative of the game better. I’m thinking this is pretty well covered now – lets play!!!! Finally I took a hit and got some Front Rank Officers as they looked the part – and Sharp Practice is really all about the officers. I loved painting these – so easy and such a good final look! !